Dan Abrahams is the world-renowned sport psychologist who has helped to transform player development and the coaching of soccer. His Soccer Tough titles have become international bestsellers and have been translated into numerous languages. Now, for the first time, Soccer Tough and Soccer Tough II are available in one cost-effective, high-value volume. In Soccer Tough: Simple Football Psychology Techniques to Improve Your Game, journey with Dan to demystify the mental side of the game in order to maximise performances. It is full of practical techniques that will enable soccer players of all abilities to actively develop focus, energy, and confidence. Soccer Tough will help banish the fear, mistakes, and mental limits that hold players back. 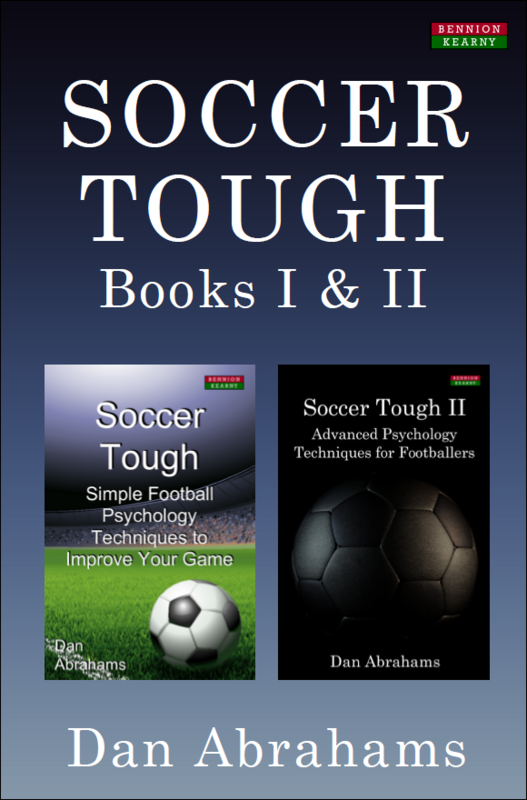 In Soccer Tough II: Advanced Psychology Techniques for Footballers, Dan introduces players to more cutting-edge tools and techniques to help them develop the game of their dreams. Through four sections – Practice, Prepare, Perform, and Progress – Dan shows players how to train better, prepare more thoroughly, perform with greater consistency, and progress faster. Book Categories: Dan Abrahams, Soccer Coaching Books and Sport Psychology.